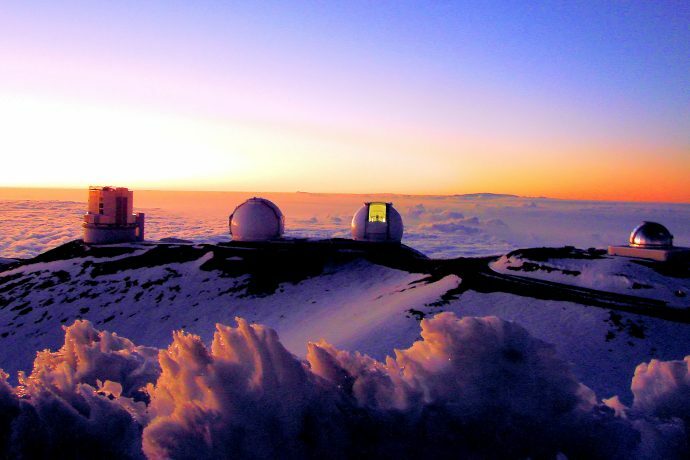 Mauna Kea – and I would argue all mountains – might be best understood as a complex community of living creatures living in mutual relationship. The needs of this community trump the desires of science. Mauna Kea itself acts as a giant water filter and houses the largest freshwater aquifer on Hawai’i Island. Everyone needs clean drinking water, but there have already been seven documented mercury spills associated with the telescopes on Mauna Kea. Currently threatened, endemic species call Mauna Kea home. The needs of mamane trees and ahinahina to live trumps the curiosity of astronomers to peep at other worlds.